Go to your orders and then "Cancel the entire order". What are you on about? Your comparing this shoe to plimpsoles sold in 3rd world countries?? Thats like comparing a ford modeo to a rolls royce phantom and saying the quailty must be the same because they are both saloon cars... Imo vans are one of the few companies who still sell shoes that are the same quailty as they were back in the day. Apart from being a low-cost branded canvas shoe, I can't see the appeal of these Vans myself. Loads of millennials wear these paired with a red check shirt, a couple of tats and piercings. 'Cause they're creative individuals. Give me £300 and I’ll wear them for the day! I prefer these to old skool ones. Thanks op ! Is the same as old skool ones? Ok thanks, been waiting for these in my size for ages, had an alert set up. Only saw it this morning. So annoying! I’m amazed they sold them that cheap. Total bargain! Great find! Was this an a pricing error or did they sell out? Never miss a 'Vans' deal again! 7 I found them quite small. Are these ladies? Title says unisex? No longer on amazon at that price. 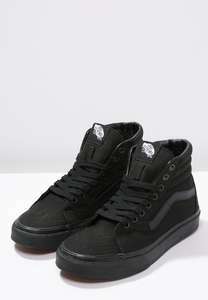 Vans -Sk8 -Hi reduced at Very. 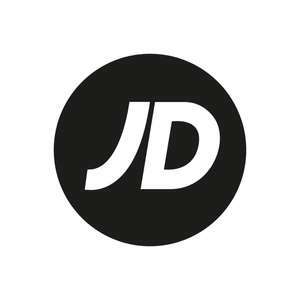 Other colours / styles also in the sale! Some sizes OOS but plenty others available! 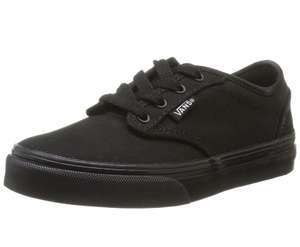 Not actual Vans though right? Not really fair to compare Price on different items either! Nice, you can get 10% off with student discounts(Uni-days) as well. I, too, want to dress like a burger cook. The Vans challenge https://www.google.co.uk/amp/s/amp.popbuzz.com/internet/viral/vans-land-upright-throwing-challenge/ People are throwing Vans to see if they always land upright. Is that whatshisface off Love Island? Thanks for highlighting the free delivery here @little_green as i've had my eye on a few bits which are now in the sale! Looks like you stuck that sticker on !! 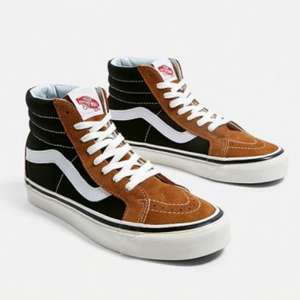 Vans SK8 Mid - Size 7 - £15 Delivered with code @ Size? Only a size 7 left and not the hi one’s but still decent for under £20 I think.